Labor D ay weekend brings the magic of the silver screen to the Methow Valley with the Barnyard Cinema’s grand opening. It’s not a question of Methow Valley residents not having access to films; after all, with TVs, DVD players, laptops, desktops, and phones, most households have at least one way to watch movies. But watching a film on a big screen surrounded by other residents is a vastly different from viewing it at home, curled up alone on one end of the couch. Watching a movie in a theater with a big screen and a high-tech sound system not only gives audiences a bigger, more vibrant visual and auditory experience, but it also brings people together. Sharing the film-watching experience, we laugh together, cringe at the same moments, cover our eyes as if on cue, and shed tears in unison. We gather in the lobby before a show to catch up with friends and neighbors, we reconvene after a movie to dissect and critique it, seeking a deeper understanding not only of the film, but of each other. And that’s the experience that the six Barnyard Cinema partners are aiming to deliver: a chance to celebrate the excitement, intrigue, and beauty of movies in a communal environment. 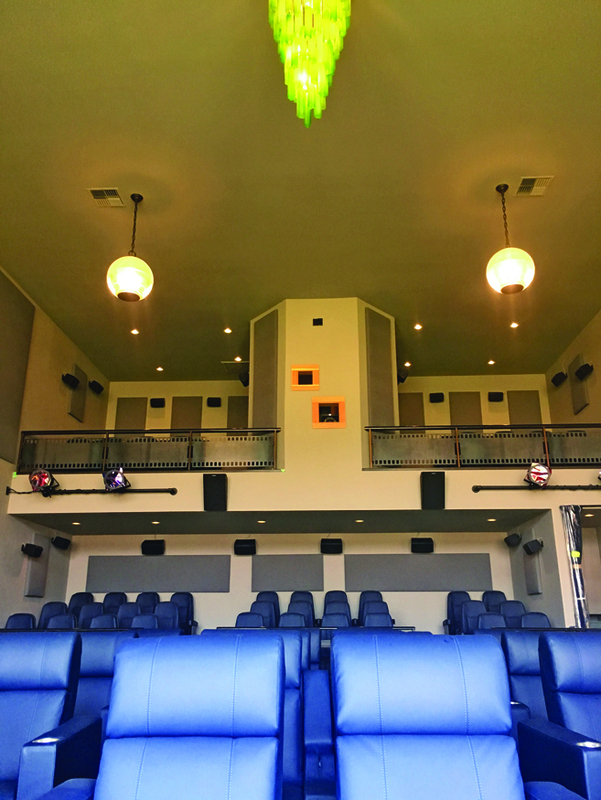 With comfortable theater seating for about 75, the Barnyard Cinema offers an intimate setting for watching a wide range of films. Family pictures, classic films, documentaries, foreign films, and cult flicks—all have a place at the Barnyard Cinema, which is open to the public. Eventually, the Barnyard Cinema partners hope to present music events, comedy shows, and improv nights as well. Add local brews and wines from Old Schoolhouse Brewery and Lost River Winery along with Blue Star espresso, candy, and popcorn, and you’ve got the classy version of a quintessential movie theater experience. Many great American small towns have several things in common—an independent bookstore, strong schools, a tight community, a spirit of ingenuity and creativity, and a small movie theater. With the opening of the Barnyard Cinema, the Methow Valley has been given its final component of this equation.